Garhwa district authorities said holding a public meeting without permission was a "violation of Model Code of Conduct(MCC)". 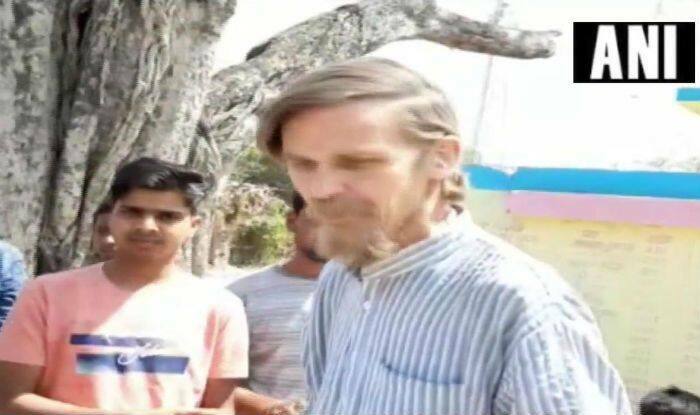 Ranchi: Economist and activist Jean Dreze, who was detained and interrogated earlier on Thursday along with two others, on charges of holding an event in Garwa district of Jharkhand without prior permission, has been released. Authorities said holding a public meeting without permission was a “violation of Model Code of Conduct(MCC)“. A leading daily quoted Garhwa Deputy Commissioner as saying that Dreze and others had asked for permission to hold the meeting but never got it. “When MCC is in place, CrPC section 144 is imposed which prohibits assembly of four or more people in a public place. Now we will look into it why (the permission) was rejected and have asked the concerned person,” he said. Meanwhile, Right to Food Campaign activist Vivek Kumar, who was part of the meeting along with Dreze, claimed that they had given a request letter to the Officer Incharge of Bishnupura Police Station and to the SDO for a ‘Jan Sabha’ but didn’t get any response. He said that they had no information that their request was rejected. He added that while their meeting was going on earlier in the day, the police came around 10.45 AM and took them to the station. “They told us they will charge us under various sections as we had violated the model code of conduct. They had also asked us to sign a bond where it was supposedly mentioned that ‘we did not have any complaint with the administration’. We refused to do so,” he told the daily. Of the 14 Lok Sabha seats in the state, the BJP has 12 and only two went to Jharkhand Mukti Morcha in the 2014 general elections. The state goes to polls on April 10, 17 and 24.